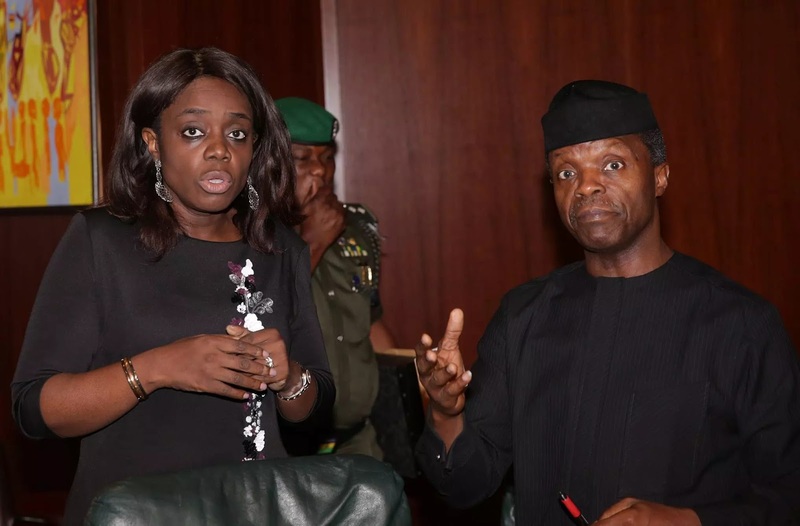 Buhari Orders Osinbajo To Also Sack His Sister Kemi Adeosun? There are strong indications that the national chairman of the APC, Adams Oshiomole and some Powerful people in President Buhari's inner circle were behind the illegal action taken by the sacked DG of DSS, Lawal Daura, at the national assembly yesterday. But that is not all. Will Nigerians see another sack? OluFamous.Com gathered that Acting President Yemi Osinbajo threatened to resign yesterday before he was allowed to sack Daura, as he was very angry over the "coup" plotted against Democracy under his watch. But now that Osinbajo has succeeded in sacking Buhari's "brother", Daura, sources say Mr President is being pushed by the cabal to order Osinbajo to also sack his own "sister" Kemi Adeosun, who the Presidency has been covering over her alleged NYSC certificate forgery scandal.